It’s that time of year again and BP Marionettes is fully into rehearsals and preparation for their annual Christmas concert series. As it continues its revered tradition of holiday performances, the Chorale will bring together a slew of singers, dancers and instrumentalists to present Sing Alleluia from December 8 to 11 at Queen’s Hall. This year will make it some 53 years that BP Marionettes has done a Yuletide production, with almost all the concerts being hosted at the popular St. Ann’s venue. No small feat for a group comprising members who are driven mainly by volunteerism and the sheer love of music and the arts! Sing Alleluia is already shaping up to be yet another memorable offering from the Chorale which includes the adult, Youth and Children’s choirs. Led by artistic and musical director, Gretta Taylor, and assisted by Dr. Roger Henry, the ensemble will perform a repertoire of Christmas selections in several styles, ranging from classical to spirituals, gospel, seasonal local and international favourites, calypso and parang. Speaking of local music, virtually all the folk, calypso and parang selections performed by the choir over the years, have been arranged by ace musician and music educator, Desmond Waithe. As a cherished member of BP Marionettes, Waithe is renowned for his catchy, feet-tapping arrangements that traditionally close the annual shows, as patrons chip merrily through the exits! 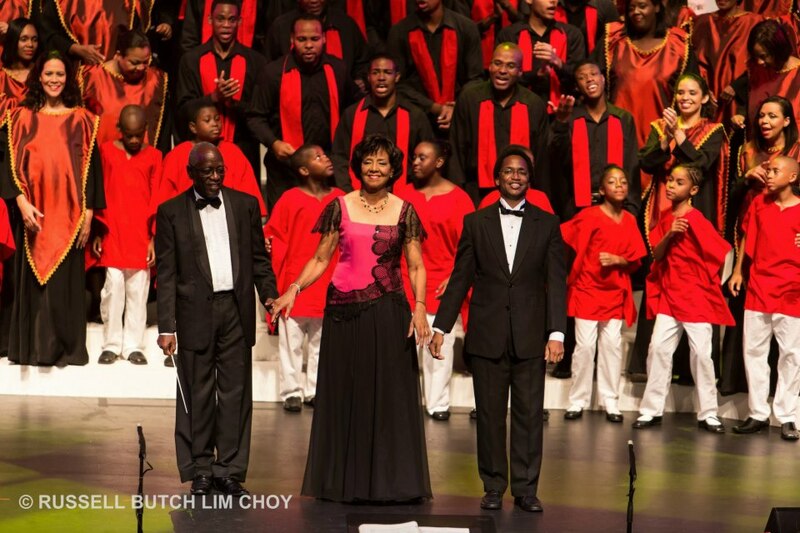 Far more than just a choir, the organisation was officially incorporated as a non-profit in Trinidad and Tobago in 2005, and has been sponsored since 1972 by bpTT – support for which they are exceedingly grateful. Every year, proceeds from the holiday concert have been donated, in part, to a range of local and at times regional charities, as in the case of Haiti. This year being no different, the Chorale has decided to lend support to projects spearheaded by The Living Water Community. With plans to take patrons on a rich and refreshing musical journey of home-grown, family entertainment, BP Marionettes hopes to do their small part in bringing a bit of much-needed peace, love, goodwill and good cheer into our Trinbago space. Sing Alleluia will run from Thursday December 8 through Sunday December 11 2016, at Queen’s Hall, St. Ann’s. Show time: 7.30pm (Thursday through Saturday) and 5.00pm (Sunday). Tickets go on sale at the Queen’s Hall Box Office from Monday November 28. For more information and to take advantage of early bird discounts, email: orders@marionetteschorale.com or call: 790-1751.